Rise to a new level with your own balloon. 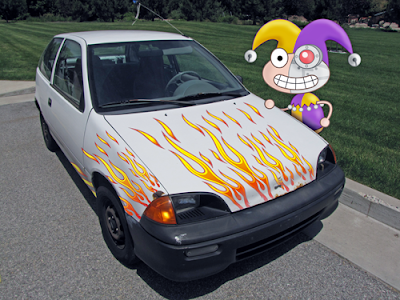 Coming soon to Poptropica! When I'm not in space trying to take over the universe I still have to get around somehow. Last week I went for a hike into the hills of a strange island, and this is what I saw. I was so hungry from my travels and the eggs looked so good, but I didn't think the seagull would like it if I "borrowed" an egg for my lunch! We've added some new items to the store. Hope you're not afraid of snakes! A visit to Arturus was a chance of a lifetime, and I had been waiting MONTHS for this! It was going to be grand, taking a trip to the famed castle, and visiting the small museum dedicated to Mordred, the infamous scientist! When I had finally taken my first steps into Arturus, a great rumble filled the air and the ground shook. It soon became apparent that a great battle had begun at the castle, and all I had was my trusty camera! I am no coward (well, not a coward all of the time), but I couldn't fight these flying ships without a sturdy axe, and I just had my hair re-braided, and... well... I just couldn't jump into the fray. A laser blast exploded near my feet, and I was thrown back through the doorway of the nearby Crop Circle Inn. This was just getting to be too much! My freshly braided hair was still intact, but my favorite boots were practically ruined from the searing heat of the barrage! 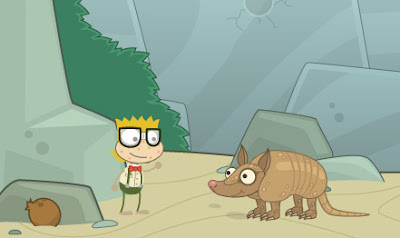 With the sounds of battle still ringing outside, I decided to hunker down in safety with the other Poptropican's that apparently had the same idea as myself. 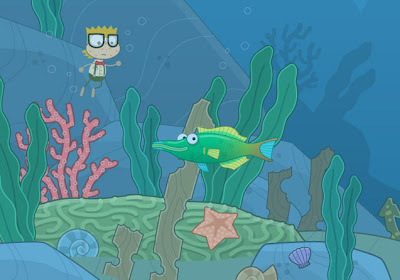 One Poptropican in particular caught my attention. His name is Young Bug, and he was a Ninja! I definitely didn't feel cowardly knowing that even a Ninja equipped with nunchaku wasn't too fond of entering battle against flying machines with laser guns! 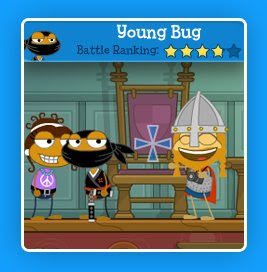 Congratulations Young Bug, you have just been featured in Snapshot Sagas! 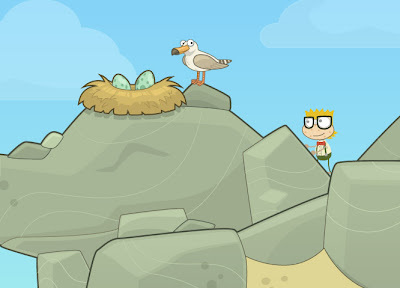 Be safe while rescuing Arturus from danger, and watch for me as you travel throughout Poptropica! Personally I'd never leave the safety of my Hazmat suit, but if you feel like a change in your wardrobe, look in the Poptropica Store for these new outfits. The Space Sharks are among my strongest but most stupid creations. They are a little thick headed, so I had to shoot at all three of them just so I could get their attention. We had quite a lovely space stroll until one of them got carried away and took a bite out of my space ship. What a mechanical mess! Remember the pictures of fish that I drew awhile back? Well I thought I would go back to where I first saw them and show you what they look like in their surroundings. Amazing, huh?! It looks like there is something BIG happening on Main Street for our younger players! 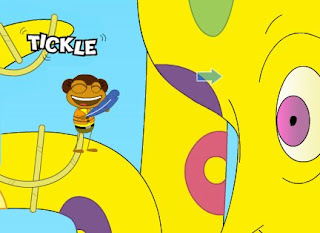 Q: What's going on with Poptropica right now? 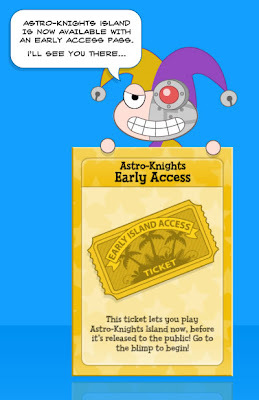 A: With the launch of Astro-Knights island we've experienced an overwhelming surge in traffic. We are working on a solution to handle the increase in traffic to the site. Q: When will Poptropica be back up? A: We're expecting to have the site ready within the next 24 hours. Q: Is my account information lost? A: No. The increase in traffic has caused temporary glitches that have made registered accounts unavailable. This is part of the fix we are working on. 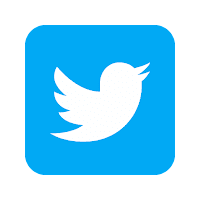 When we are back up and running, you will have full access to your account. When I'm traveling from island to island on my adventures I'm always eager to make new friends. This little guy was the latest to become my new friend. Isn't he cute?